Here’s the dilemma: It’s not quite rainy enough for a hard shell, but you don’t want to thrash your puffy busting brush on the way to the water. 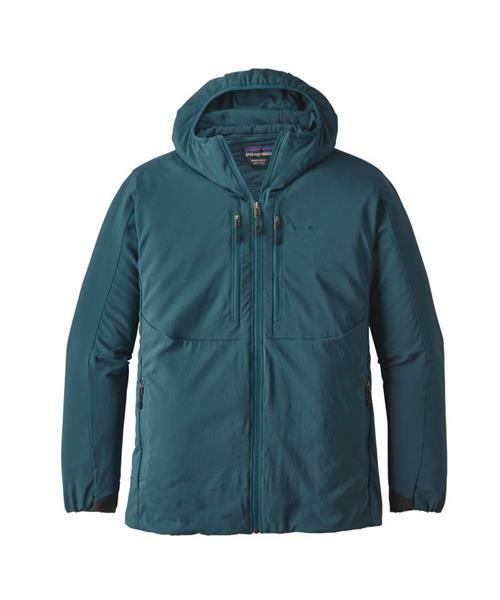 Combining warmth, durability and freedom of movement, Patagonia's new, fish-specific Tough Puff Hoody solves the problem with a stretchy and abrasion-resistant face fabric that moves with you and, thanks to a DWR (durable water repellent) coating, shakes off moisture or passing showers. Inside, the Tough Puff keeps you warm with the same ultralight, 60-g FullRange® polyester stretch insulation they use in their Nano-Air® designs. Two large, vertical fly-box pockets on the front, two zip-closure handwarmer pockets, and a moisture-wicking, 100% recycled polyester Capilene® body lining round out the technical package for ultimate comfort on the water.